I first met musician Pati Umaga in 2009 when I was doing research for the first edition of Arts Access Aotearoa’s Arts For All publication. I wanted to find out more about disability within Pasifika communities in New Zealand. Since that meeting, Pati’s become a good friend of the organisation, attending the Arts Access Awards and being available to provide advice. There’s also a photo of him in the second edition of Arts For All, published in April this year. Pati is standing up, out of his wheelchair, and playing bass guitar with his band Kabasa. “My goal was to play one song standing upright,” he says. Goal achieved, he sat down and continued performing in an event he helped organise as part of the Rugby World Cup Real NZ Festival in 2011. 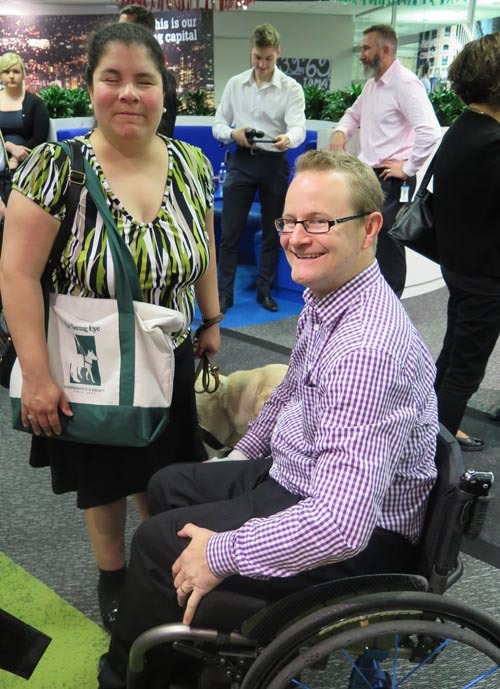 So it was great to catch up with Pati at an event organised by the Westpac Accessibility Group in Wellington on 3 December, the International Day of People with Disabilities. Pati was one of three speakers who talked about their lives and the impact of technology on what they were able to achieve. 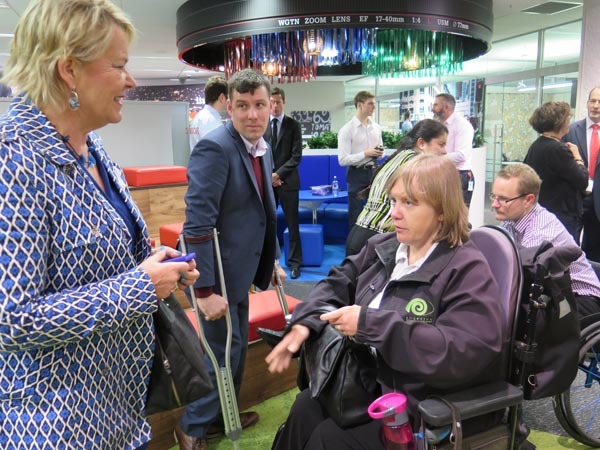 After a welcome from Richard Jarrett, Head of Business Transformation at Westpac, Hon Nicky Wagner, the new Minister of Disability Issues, spoke. She said she was delighted to be involved in such a “vibrant, diverse and courageous community”. One of the speakers was Genevieve McLachlan, who lives in Upper Hutt and runs a small business, Adaptive Technology Solutions. In fact, she told her audience she recently won three award categories in the 2014 David Awards, which recognise the “unsung heroes in home and small businesses” throughout New Zealand. Since then, Pati has become a leader in advocating for disabled people. 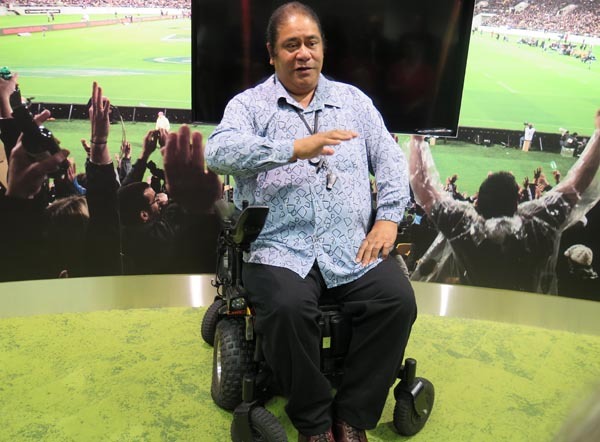 He set up Wellington Pasifika Disability Network, is a Whanau Ora champion, chairs the ACC National Serious Injury Service Advisory Group and is a member of the Health and Disability Commissioner’s Consumer Advisory Group. He also received a Queen's Service Medal for services to the Pacific community in 2012. In all of this, music is a vital creative outlet for him – as it is for the second speaker of the day, Julia Mosen, a blind musician who talked about using technology from the age of four. That was in Texas in 1985. “When I was eight, I had a notetaker called Braille and Speak, a small device that I took from class to class. By the time I was ten, I was using a scanner. “Technology increased gradually over the years, and I was able to complete my assignments and gained my degree with the use of assistive technology. Original generation time 1.4984 seconds. Cache Loaded in: 0.0796 seconds.